Drake has managed to top the Top Rap Albums chart for the eighth time, as his new album ‘Scorpion’ debuted at No. 1 in the rankings dated the 14th of July. Drake now has the most No. 1’s that anyone has managed on the chart since it started back in 2004, level with The Game, who also has been at the summit eight times. According to Nielsen Music, the album managed a total of 732,000 equivalent album units in the week that concluded on the 5th of July. Not only that, the album has also managed the No. 1 spot in the Billboard 200 and Top R&B/Hip-Hop Albums chart, both of which see Drake dominate it for the eighth time. The record for biggest streaming total in a single week also belongs to ‘Scorpion’, as the album’s songs had an on-demand audio streams total of 745.9 million during the week that ended on the 5th of July. Drake has released nine full-length albums, eight of which have gone one to top all three of the charts. ‘So Far Gone’ was his debut album that did not manage the feat, as the album peaked at No. 2 in the Top Rap Albums chart, No. 6 on the Billboard 200 and No. 3 on Top R&B/Hip-Hop Albums. 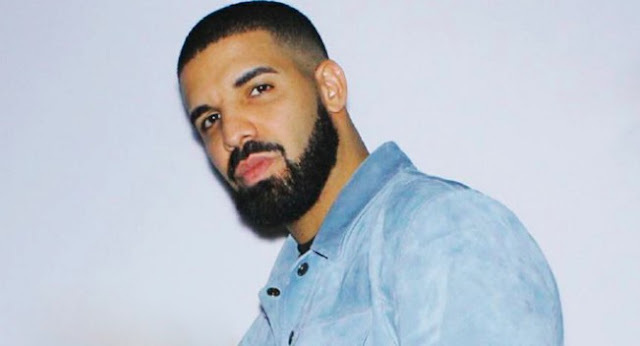 Drake’s previous albums to be No. 1 in the Top Rap Albums chart are: ‘More Life’ that started its four-week run in April of last year, ‘Views’ that started its reign in May of 2016 and was No. 1 for nine weeks, ‘What a Time to Be Alive’ started in October of 2015 for two weeks, ‘If You’re Reading This It’s Too Late’ in February of 2015 for six weeks, ‘Nothing Was the Same’ in October of 2013 for a period of six weeks, ‘Take Care’ in December of 2011 for a long-reign of sixteen weeks and ‘Thank Me Later’ that was top for only one week in July of 2010. Meanwhile, in the Hot R&B/Hip-Hop Songs Chart, seven songs of the album ‘Scorpion occupy spots in the top 10. This a record number of songs, surpassing the previous best of six songs set on the 12th of May by Post Malone. The ranking is led by ‘Nice For What’ which climbed four places from No. 5 to No. 1, making it the song’s eight week atop the ladder. ‘God’s Plan’ which was No. 1 for an incredible 11 weeks, jumps up to No. 4 from No. 7. At No. 6 is ‘I’m Upset’ which climbs ten places from No. 16. The other four songs in the top 10 are debuts, with ‘Nonstop’ at No. 2, ‘In My Feelings at No. 5, ‘Emotionless’ at No. 7 and ‘Don’t Matter to Me’ featuring Michael Jackson at No. 8. Drake’s total of career top 10s in the Hot R&B/Hip-Hop Songs also climbed up to 68, which is the most since the rankings started in 1958. James Brown has the second most singles to appear in the chart, with 57.